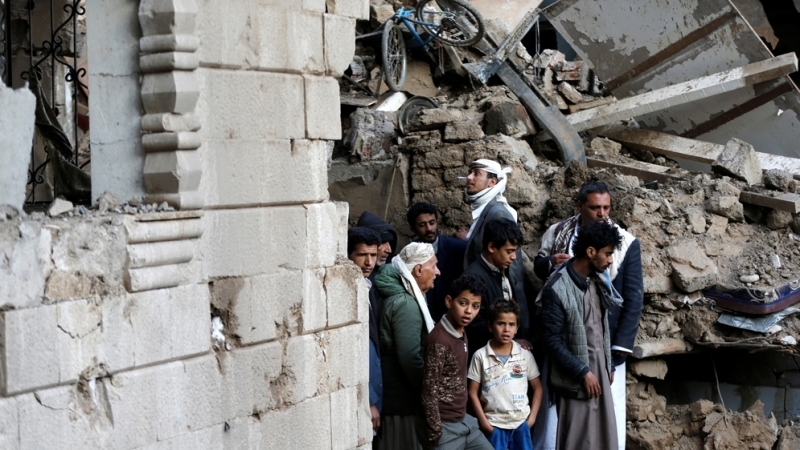 The Armed Conflict Location and Event Data Project (ACLED), a nonprofit conflict-research organization’s latest report, says the Saudi-led war has so far claimed the lives of some 56,000 Yemenis, the vast majority children, the most vulnerable segment of the population. The Saudi regime and its allies have mercilessly pounded Yemen destroying factories, hospitals, schools, people’s homes, and markets. School buses have also been targeted as happened in August in Sa‘ada killing 40 children and injuring many others. For several months, Saudi, UAE, and US/UK forces have attempted to take over Hudaydah, the Red Sea port city and the only outlet for Ansarallah and Houthi fighters to bring in desperately needed medicines and food. While the aggressors have been unsuccessful, grain silos in the port have become inaccessible for relief agencies. This prompted 35 Yemeni and international non-governmental organizations (NGOs) on November 7 to call for an immediate cessation of hostilities in Yemen. 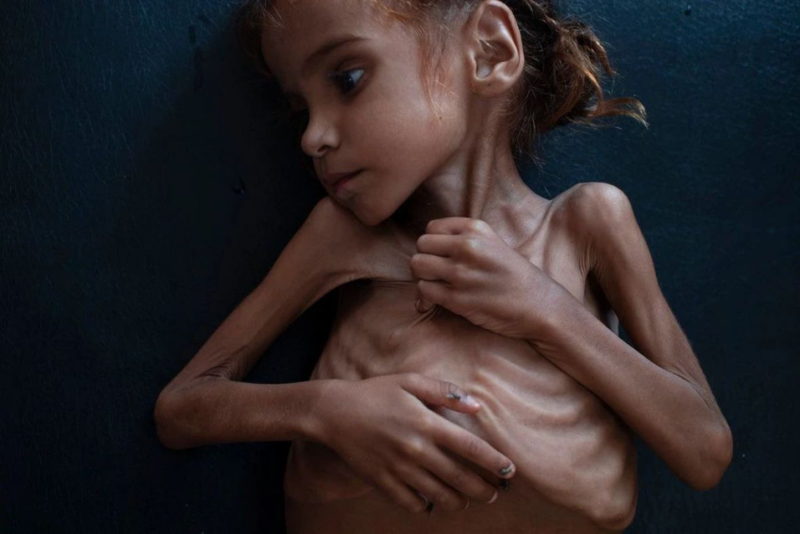 They warned that the Saudi-led war had put 14 million people on the brink of famine. “With 14 million men, women, and children on the brink of famine — half of the country’s population — there has never been a more urgent time to act,” the NGOs said in a statement. 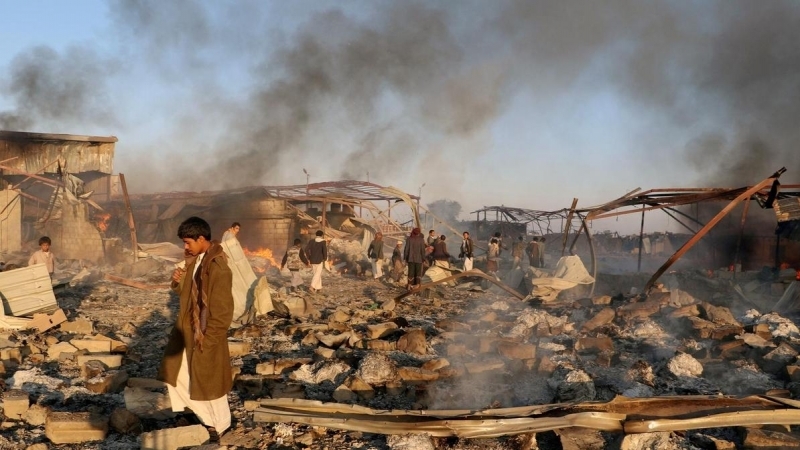 They urged the world to “secure an immediate cessation of hostilities” and “suspend the supply of arms at risk of being used in Yemen,” a clear reference to the Western regimes’ supply of weapons to Bani Saud. 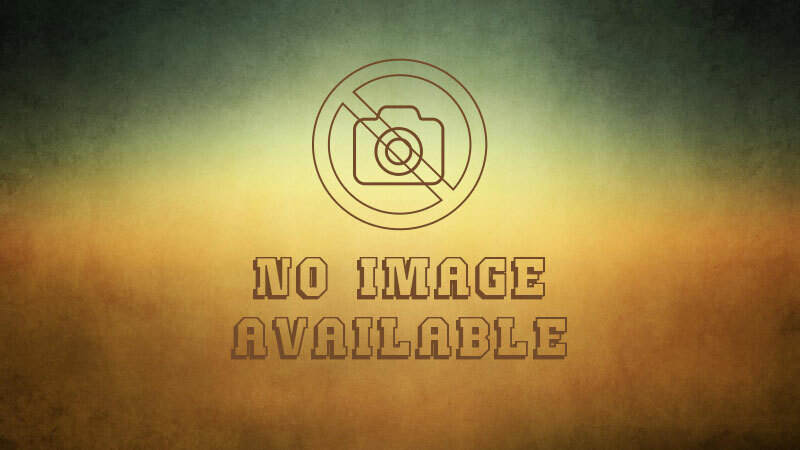 “We call on governments to redouble their efforts to guarantee unimpeded access to essential items… including through the lifeline port of Hudaydah…” the NGOs said in their statement. While there are many tragedies afflicting the Muslim world, the one in Yemen is completely preventable because it is man-made and caused by those who call themselves Muslims. 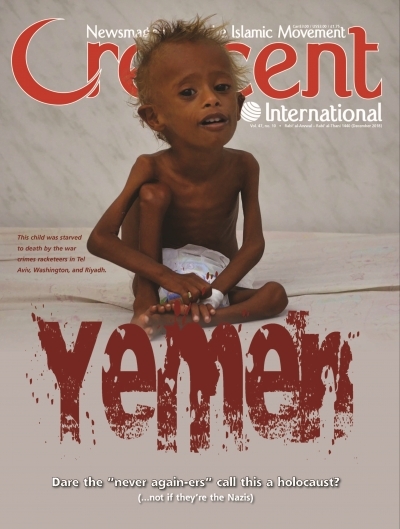 What did the people of Yemen do to be subjected to such aggression? They had dared to take their political destiny in their own hands. The Saudis deemed this unacceptable. The medieval kingdom’s semi-literate and upstart young defence minister Muhammad bin Salman thought Yemen would be an easy target and would be brought to its knees in a matter of weeks if not sooner. Nearly four years later, the Saudis are nowhere near achieving any of their objectives — political, military, or strategic. Their only “achievement” has been the murder of tens of thousands of innocent people and the destruction of Yemen’s infrastructure. This terrible war must end immediately. Desperately needed food and medicines must be rushed in to save the starving population including children. There should be no more Amals dying of hunger. Finally, Saudi rulers and their enablers in such capitals as Washington, Tel Aviv, London, and Paris must be charged with genocide and war crimes.